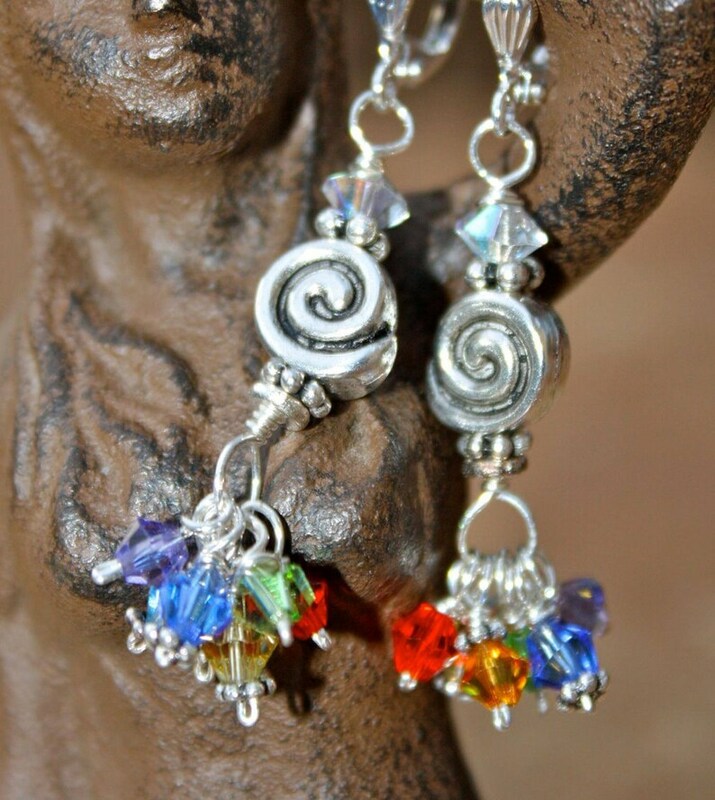 Chakra Balancing Earrings~ are made of a bright combination of semi-precious stones and Swarovski crystals, suspended with a OM symbol (the international sound/symbol) for peace. Ancient tradition suggests that we have a total of SEVEN chakras. Each chakra is represented by a specific point on the body and a specific color/stone. Wearing these stones can help unblock chakras and balance the body and mind..... plus they are pretty!